Parle and ITC .New players have been recently added such as UnitedBiscuit and Kraft ( Yet to begin manufacturing ) . But few regional brands are giving tough competition to these entrenched brands . Local competition for Anmol comes from Biskfarm , Moreish foods , Raja , A1 , Sona Biscuits and Priya Gold . In Eastern Indian market Anmol is the one brands which has successfully build inroads to the bakery productsmarket and are available at all major retail chains and bakery retail chains . Anmol products have also spread to Delhi, UP ,Bihar , Orissa and North Eastern States along with dominant player in West Bengal . Anmol Biscuits Ltd runs two manufacturing units one at Dankuni (WB) and other at Noida (UP) with BSI , ISO -22000 , HACCP and GMP certification. Anmol Biscuits inventory includes 23 brands and 43 SKU 's with 110 Super stockists, 2600 distributors & 250 sales person & and presence in about 4 lakhs retail shop. 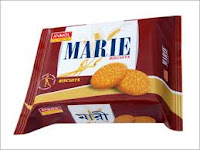 Started in year 1993 with one single unit now running 6 production lines , Anmol has gradually transformed itself into company to join the big league of Indian biscuit industry. Under Mr Baijnath Choudhary leadership company has achieved great success in expanding market foot prints . The ideas expressed in your articles are highly educative and easy to apply. I have learn much and Im quite certain other entrepreneurs will buy into your ideas to position their business for real profit. kindly give information about small unit cast (each and every machine wise cast) for biscuit unit.